Nokia has announced the financial results for their first quarter of 2012 this morning, revealing a dramatic 30 percent drop in net sales as well as the stepping down of the company's head of sales at a time when the Finnish phone giant is fighting an uphill battle against fierce competition in the smartphone market. The company's head of sales, Colin Giles, a 20-year Nokia veteran has stepped down to be "closer to his family" and will be replaced by Niklas Savander, currently the executive vice president of markets. The disappointing results are in line with Nokia's predictions last week, which sent the firm's stock prices tumbling by 14 percent upon announcement. All told, sales dropped to €7.35 billion ($9.65 billion) during the first three months of 2012 according to the Financial Times, down from €10.4 billion during the same period last year, and a 29 percent fall on the last quarter's results. Nokia posted an operating loss of €1.4 billion ($1.8 billion), a decline from 2011's first quarter operating profit of €439 million, not helped by restructuring charges of €1.1 billion relating to the joint venture with Siemens to make telecoms equipment during what Nokia typically calls their quietest period. 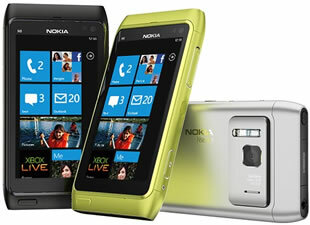 Handset sales in Europe dropped 32 percent during the three month period, down to 15.8 million units. Sales in China were even worse, with just 9.2 million handsets sold, a landslide 62 percent decline. In total, worldwide handset sales dropped by 24 percent, to 82.7 million during the three month period compared to last year. Chief executive Stephen Elop said the company was still working its way through a "significant company transition in an industry environment that continues to evolve and shift quickly". They have been dealt further blows by rapidly declining Symbian sales since the announcement of the partnership with Microsoft and their Windows Phone mobile operating system. Despite strong sales in the US, which has seen over 2 million Lumia 900 smartphones sold in the first few days alone, worldwide sales of the new Lumia range of smartphones has been disappointing according to Elop, who noted that the firm was experiencing particularly intense competition in the UK.